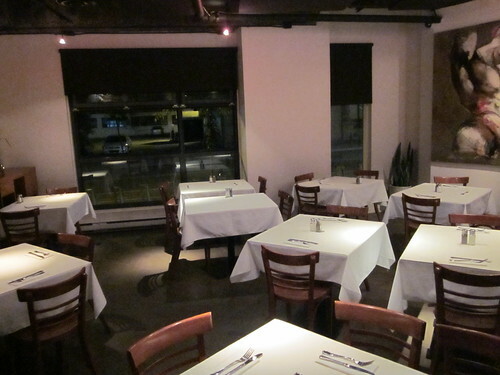 Boris Bistro is a spacious restaurant located in the Old Montreal area, non-pretentious yet elegant, with a beautiful patio and more importantly, within 3 blocks from the hotel where I am staying at. 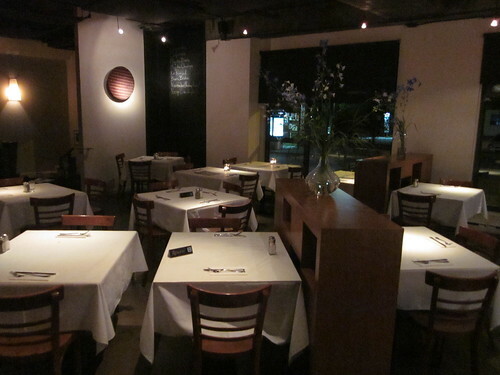 We were greeted with warmth and the servers tolerated our French/English mumbling as we were completely starving. 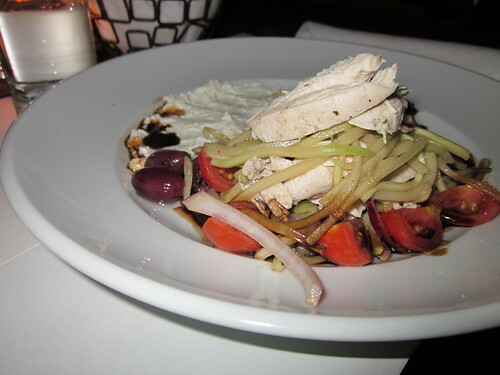 I ordered a salade méditerranéenne au poulet (Mediterranean chicken salad, $17.50) which was well served (albeit, it had goat cheese – I know, how could I order a dinner item with cheese – but I did want to see how they served it, and besides I was starving). The salad was exquisite, and it had a side-order of tapenade that simply enhanced the chicken flavours perfectly. I will even admit that the goat cheese was amazing and that it combined perfectly with the salad (some balsamic vinegar may have made its way into the salad dressing). I’m a fan of very strong flavours and this salade méditerranéenne au poulet was just what the doctor ordered for me. 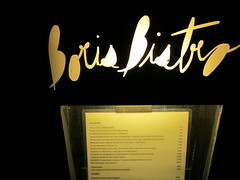 Overall, if I had to come back (and I know we had already visited here a few years ago for another NACEC meeting) I would definitely seek the comfort of Boris Bistro. Very highly recommended, and not expensive enough to break the bank.